Just wanted to share a couple examples of streetlights I've admired. Since we're all getting pretty sick of the acorn "glare bombs" that seem to be multiplying around town, I thought it would be good if people shared some examples they LIKE! These are right across the street from St. Francis Hospital. I like the clean lines, and fully shielded light fixtures. They could blend nicely with many different types of architecture. And here are some I loved in downtown St. Louis. Although they shine "up" they don't light up the sky. Instead, they reflect/radiate a lovely diffused light back down on the street. Very warm and welcoming (unlike our downtown acorns), and no harsh shadows. By the way, what are "Kennebunkport" lighting standards? Is Tulsa requiring this these days? I like the example you provided from across St. Francis. They remind me a lot of the streetlights used in Orlando. Community Profile: Kennebunkport is a small town of about 4,000 year-round residents located on the southern coast of Maine. Incorporated into York County and guided by a town manager and board of selectmen, Kennebunkport has become a prosperous community known for its unique local businesses and quintessential coastal scenery, while still maintaining cultural ties to its humble roots in the shipping and fishing industries. On March 19, 1977, Kennebunkport adopted an outdoor lighting ordinance designed to reduce problem associated with outdoor lighting such as glare, as well as reduce the energy and financial costs of outdoor lighting. Since its introduction, the outdoor lighting ordinance has undergone three separate amendments in 1979, 1985, and most recently in 1992. The ordinance, written mainly by engineer and New England Light Pollution Advisory Group (NELPAG) member Peter Talmage, is very well written and can serve as a model for others who are considering writing or revising a local ordinance for outdoor lighting. The project was initiated by Talmage when the local utility company proposed drastic changes in the town’s low-level, modest lighting. He worked with town selectmen to form a Lighting Committee, currently chaired by Jim Stockman, whose purpose was to create an ordinance which would preserve Kennebunkport’s nighttime skies. To simplify the job of the ordinance code enforcement officer, the standards are predominately hardware-based as opposed to performance-based. This allows for the measurement of on-site light levels at nighttime. * Because the ordinance was voted on by the people of Kennebunkport, the only cost involved was that of placing it on the ballot. * There was no cost associated with upgrading previous lighting fixtures to comply with the ordinance as those fixtures were grandfathered. 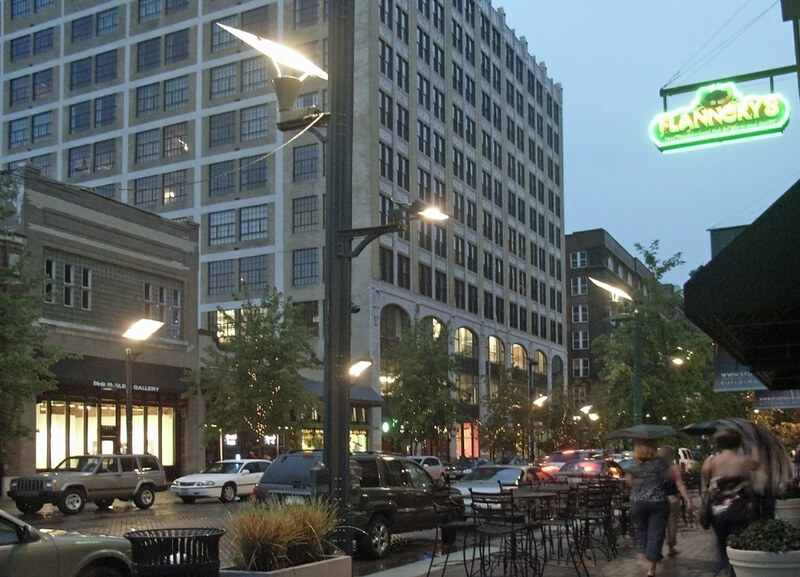 * Additionally, the Indiana Council on Outdoor Lighting Education has created a Outdoor Lighting Framework which helps to guide the process of writing an outdoor lighting ordinance. * Lowers the cost of energy by reducing usage. * Having a lighting ordinance sets clear guidelines for the installation and regulation of outdoor lighting, ensuring increased safety and welfare for the residents of the town. * For more information, contact the award-winning International Dark-Sky Association (IDA) or access their Outdoor Light Code Handbook. Committed “to preserve and protect the nighttime environment and our heritage of dark skies through quality outdoor lighting,” the IDA has become the authority on light pollution. * Use this document to guide developers in the fixtures your municipality recommends. This could be referenced in your site plan and subdivision regulations or zoning ordinance. It can also be added to your Planning Department website with the recommendation that people use these until new rules are created: IDA Approved Fixtures. Here's what they look like at night. Gives you some idea how far behind the curve DownTown Tulsa Unlimited is for promoting their favorite energy-wasters. only one problem.....the Kennebunkport standard never made it out of Kennebunkport. Instead what most places employ is the Kennebunkport "formulae" which I have YET to see this formula(e) on paper. Instead all I ever hear in the kangaroo court TMAPC meetings is that each development will adhere to the Kennebunkport formulae. The Kennebunkport Formula is a design tool applied to area lighting to insure such lighting does not encroach upon other properties or rights-of-way. It applies to commercial and residential lighting (as opposed to street lighting). The formula helps calculate the mounting height and distance from the property line a Full Cutoff fixture needs to be to not trespass. Builders like it because they can specify lower wattages and save money not having light wasted where it's not wanted. where H = height of fixture and D = distance in feet to fixture from a property line. All new PUD's must include a lighting plan, and the plan must demonstrate how they intend to prevent light trespass. INCOG prescribes the Kennebunkport Formula to perform these calculations. For the formula to work, the light fixtures must be Full Cutoff. You cant apply the formula to unshielded wallpacks or acorns or the cheap "farm lights" on residential street corners and expect it to work. If the fixture has no cutoff angle then there's no number to plug into the formula to begin with. go ask people at Legacy Park behind Sprit event center if the KenneBUNKport formula is working for them. If im not mistaken, the Sprint Event Center uses un-shielded wallpacks in a direct line-of-sight to neighbors windows. That would not conform with a PUD in Tulsa and also violate zoning code 1303C. That should have never made it past the application stage. What they have tried to do is slap a quantitative fix to a qualitative problem becuase this is more convienent for the brain dead developers in the rest of the country. The formula(e) is obviously flawed. There is no provision for the overall intensity of lighting over a given area like a PUD, nor is there any variance on what happens for lighting that occurs between zoning classifications (CS abutting RM or RS). The Kennebunkport Formula is a qualitative approach, from the perspective of getting under control mis-directed angles of illumination that neither add to safety, security nor good vision at night. ...but you are right, it only address angles and not intensity, and that should be the job of a more encompassing ordinance that would incorporate the Kennebunkport Formula as one of several elements. The St. Francis lights have been there for years, and are much easier on the eyes at night than the Public Works lights along the rest of the streets. They appear to be "Cutoff" rather than "Full Cutoff" with the difference being the "Cutoff" classification allows 2 1/2% uplight while "Full Cutoff" allows no uplight. Both classifications only allow a maximum of 10% of the fixture's output in the Glare Zone (just below the horizon) so either classification would be a big improvement in Tulsa. In contrast, the PSO-recommended drop-lens Cobra-head lights all over town are the "semi-cutoff" classification where 20% of it's output is in the Glare Zone, and Acorn post-top horrors are "non-cutoff" and have no limitations on glare or uplight. P.S. The St. Francis fixtures also look good in the daytime, too. The major hospitals like St Francis and St John do a fantastic job on eye-friendly lighting, and understand what an impediment glare is to human vision (and safety). Something to talk about when commercial establishments insist their glary moth-effect overlighting is for "safety". Now just for fun, if you were to apply the Kennebunkport Formula to these, there is a 2 1/2% percent uplight component that might be non-compliant. If we take a 150-Watt Sodium light with an output of 16,000 Lumens, 6,400 Lumens are likely to trespass. 6,400 Lumens is about the same as the full output of a 70-watt Sodium streetlight light (which is in itself sufficient to light a residential street to nationally-recommended standards) so what might be OK for Yale Avenue or downtown might not be welcome in a residential district. This is one reason "Full-Cutoff" is preferred over any other cutoff classification when the quality of lighting is the main goal. P.P.S. It's also generally understood among lighting designers that you should reduce the wattage of the lamp in a fixture when upgrading to Full Cutoff because they are much more efficient (not having to deal with glare), so with Full Cutoff it takes much less light (and electricity) to properly light an area. Regal Plaza is in Bixby, but Bixby claims to adhere to the same formula. It was the good old boy planning commission down there that let this one slide. Bixby may claim to use the formula, but if they are leaving shielding out of the ingredients then it might as well be the formula for New Coke. Patric, I didn't get a pic at night of the ones I saw in St. Lou, but it wasn't like your example above. I was totally impressed by how little glare there was, and how warm and welcoming the light was. Your photo shows a harsh, bright white light, and lots of glare. The neighborhood where I was in St. Louis was the opposite of that. No glare as we drove down the street (and I am totally picky about glare! Ask my friends!) and a soft warm light. Not arguing that these are the "best" example of lighting.... Just trying to show an array of options. I'd love to see what your favorites are...both functionally and stylistically. I didn't get a pic at night of the ones I saw in St. Lou, but it wasn't like your example above. Im too far underneath the closest light, so that may not have been the best example. How about this one? Neither of the photos really do it justice, though, because when I drove down the street at night I was just blown away by how it looked. The center stripe down the middle of the road is LED, btw. Better, more efficient street lighting has been around for decades, and yet every day Tulsa installs some of the least efficient, visually poor lighting it can find. A lot of this has to do with Tulsa getting it's expert recommendations from people in the business of selling as much electricity as possible. Any municipal street lighting system must be designed to improve one's ability to see at night. 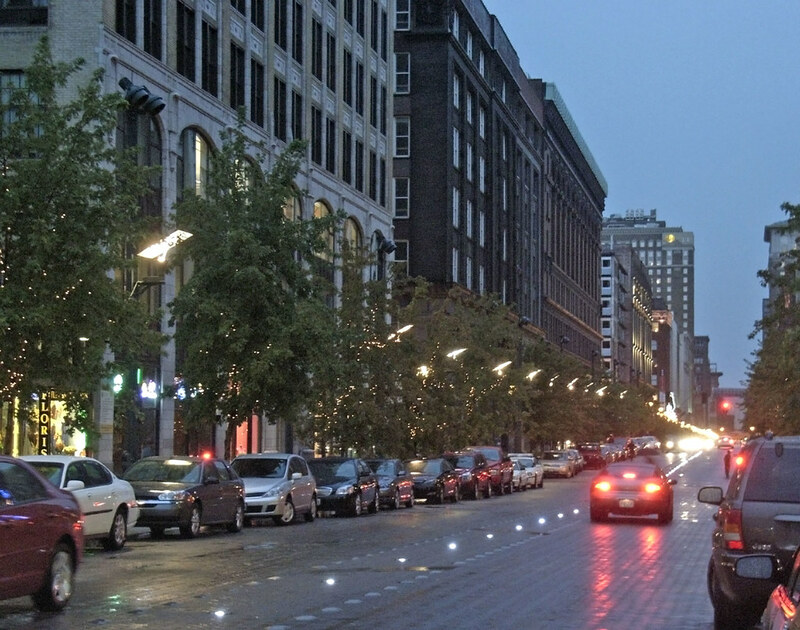 Any streetlighting design must demonstrate that it is necessary to improve night vision, and how such design will accomplish that without unreasonable glare or waste, or that such improved vision can not be accomplished by other less costly means (such as reflective or luminous markings, etc.). Until our streetlight system is put in the hands of qualified, independent lighting designers who place lighting quality over energy sales, it really wont matter how many cities we can find that light their streets better than we do. That may happen in the form of an enabling ordinance, or changes in the marketplace due to new technology. When more people own hybrid cars that plug in at night, utilities will ease up on strategies to sell their off-peak power to municipalities in the form of inefficient street lights. If they arent planning on that, maybe we should. I like it, how do we go about getting those things installed? Sign a petition or something? Is it something to do with City Council? from a list of "approved fixtures" it gets from Public Works. Public Works creates the list on "recommendations" from AEP/PSO. PSO is in the business of selling electricity, and one of the most profitable ways electric utilities deal with off-peak generating capacity is to sell it to municipalities in the form of street lighting. Wasteful streetlighting sells more electricity. When I met with Susan Neil when she was a member of the city council, she suggested the way to break that cycle might be with an enabling ordinance that would add shielded fixtures to the list of those the city "allows" PSO to install (Neil is now Mayor Taylor's director of community development). She didnt follow through, though. Another might be an ordinance modeled after laws in states like Texas and Connecticut, requiring any fixtures installed or maintained with public funds meet certain efficiency standards (such as how much of their light output must be at angles useful to human vision, etc.). Someone more familiar with the Comprehensive Plan revision process might better explain how that avenue might work. In any case, it certainly wouldnt hurt to mention to your councilor that you might prefer cutting back on funding wasted on inefficient streetlights than you would funding for police and fire, for instance.